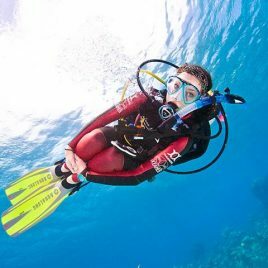 Learn to go with the flow and let the ocean current do the work for you as you glide effortlessly and safely along, relaxing and enjoying the view of Utila's reef and the creatures that live there as if on a moving conveyor belt under the sea! 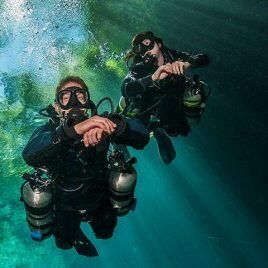 The PADI Drift Diver Specialty course at Underwater Vision will show you how to safely dive purposefully in currents by learning proper communication techniques with your dive buddy, the boat and important orientation skills. 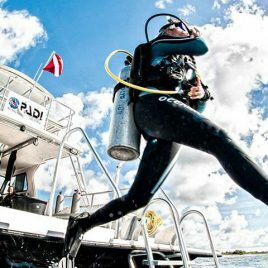 You will also improve your buoyancy skills to maximize your dive time and learn how to use equipment specific to diving with a current. 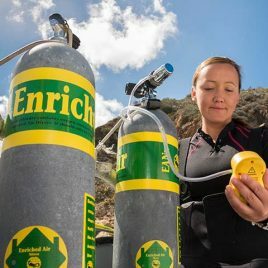 Studies have shown that the rapid administration of oxygen at the onset of symptoms of DCS after a diving accident may have an immediate effect on the alleviation of symptoms, but could also reduce the severity of the injuries sustained significantly! 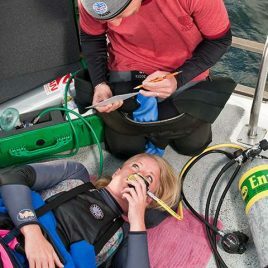 All divers should know how to be of assistance during a diver-related accident and knowing how to administer emergency oxygen might be the most important skill. 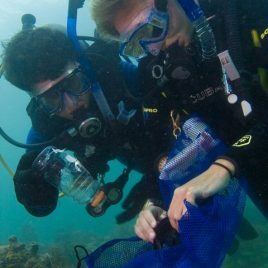 Be prepared to help your fellow dive buddies in Utila and beyond and become a PADI Emergency Oxygen Provider. No diver is ever really happy when a dive must come to an end. There are ways through instruction and practice however, to safely extend the duration of your dives so you can observe the green turtle in Utila a little longer, not miss witnessing that barracuda catch what it has been stalking or miss out on a rare Utila Nurse Shark sighting! 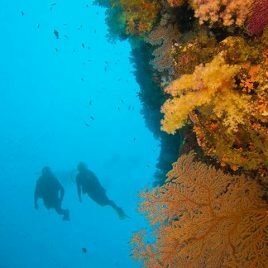 Take the PADI Multilevel Diver course in order to learn how to safely plan and execute multilevel dives to maximize your dive time and limit the amount of nitrogen absorption as you ascend to shallower depths. Experience the complete change of underwater landscape and creatures as the sun sets on Utila and day turns into night! 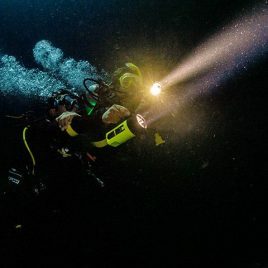 Learn crucial night time navigational skills, how to communicate underwater at night and how to use a dive light and other equipment essential for scuba diving at night. You will be amazed at the complete change in the creatures which make themselves visible on Utila’s reef once the sun sets. 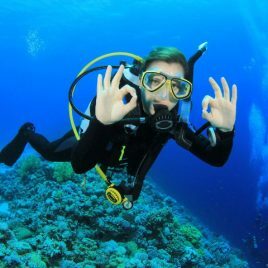 As a scuba diver you are well aware of the term neutral buoyancy. The concept is easy to understand: you neither sink nor float. However, actually achieving this while scuba diving takes a bit of practice. 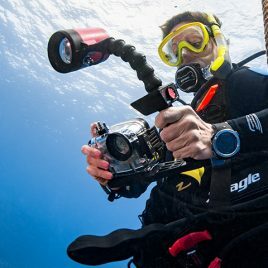 The divers who excel at neutral buoyancy use less effort and therefore consume less air allowing them longer bottom time. 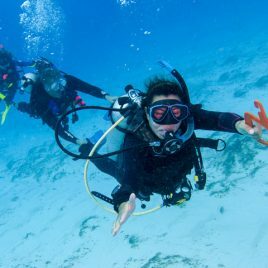 They have minimal to no impact on the reef surrounding Utila or elsewhere and are able to ascend, descend and hover effortlessly making their dives as relaxing as possible. It is a downer when you drop something of value in the water. A dive computer, a ring, a propeller or the rudder of a sailboat, all of it worth something to someone and sometimes, it is not an option to leave it there for someone else to find! 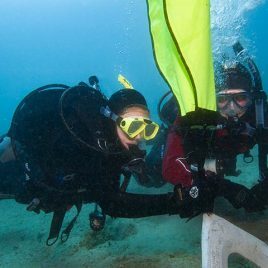 Perhaps you entertain dreams of finding lost treasure such as that rumoured to be lost by Captain Morgan in the waters surrounding Utila or want to get into a type of marine archaeology.